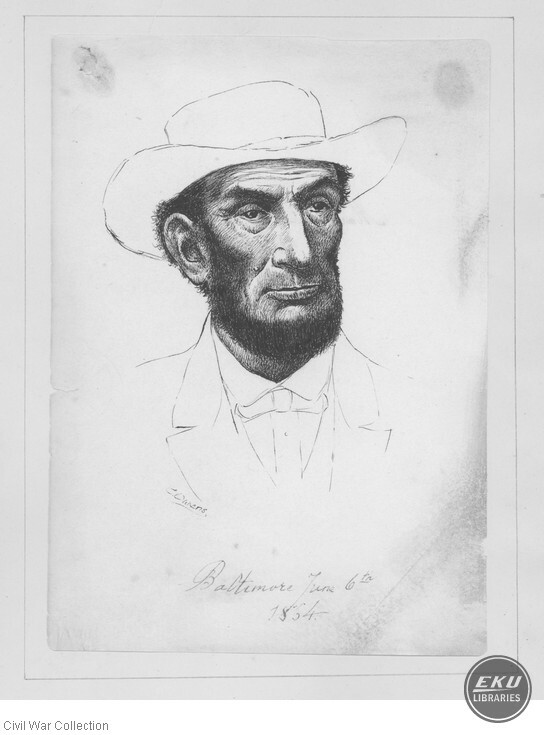 Sketch of Lincoln in Baltimore wearing a flat top bowler (Mosby Style). May be an ink sketch over a lithograph, contains notations "Baltimore June 6th 1864" (recto) and "Martin Doughty, pinxit, Book, PA" (verso). Owens, C., “Abraham Lincoln,” Digital Collections, accessed April 24, 2019, https://digitalcollections.eku.edu/items/show/13738.